Two suspects earlier paraded by the police for illegal possession of firearms allegedly supplied by Senator Dino Melaye have escaped from custody. The suspects were detained by the Kogi State Police Command in Lokoja, the state capital, while investigations into their allegations continue. 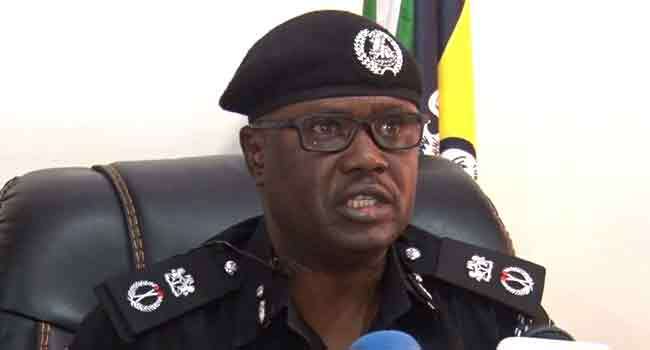 Commissioner of Police in the state, Mr Ali Janga, who confirmed the jailbreak to reporters on Wednesday, said the suspects and four others escaped from custody in the early hours of the day. Mr Janga consequently declared as wanted, Senator Melaye and one Mohammed Audu as well as the suspects on the run. He also told reporters that the police officers on duty when the jailbreak occurred have also been detained for questioning. The two suspects were paraded by the Force Public Relations Officer, Jimoh Moshood, on March 19 who said they were part of an armed gang terrorising residents of the state. Moshood said the suspects were arrested with a cache of arms which they claimed had been supplied to them by Senator Melaye, the lawmaker representing Kogi West. Senator Melaye has since denied the allegations which he described as an attempt to silence him.